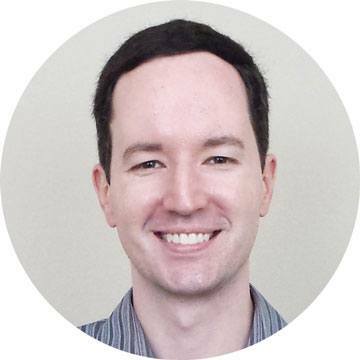 I see that you are searching for the best Dallas SEO, am I right? We happen to be just what you are looking for. Now is the perfect time to focus on search engine optimization so that you can take advantage of higher rankings in Google and get more visitors to your website. The goal is to get more customers. What's great about Dallas, Texas is that its the perfect place for small businesses with such a big and diverse marketplace. Many businesses are started here or move in to take a crack at the opportunity. But that also means that competition can be steep. Dallas happens to be one of the fasting growing areas in the country. The only hold back in your business might be that your rankings aren't quite up to par yet. Don't worry though, we can take care of that for you. What to do about all that competition? One of the best ways to out compete other businesses in your industry is to focus on Dallas SEO so that your business ranks higher than your competitors in search results. Just how much better should you rank and what does that get for you? Let's take a look at some average numbers for what searchers click on in search results. On page 1 of Google, we typically have 10 positions in the results. People click more on search results that rank higher, or appear near the top of page 1. 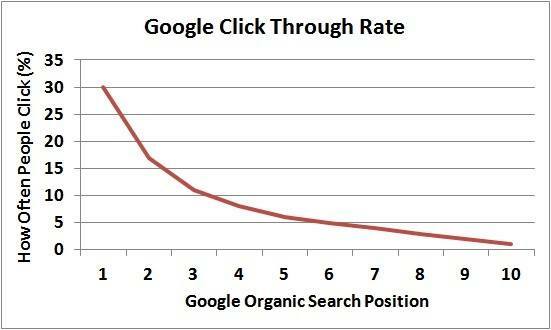 From the graph above, notice that slot 1 gets 30% of clicks while slot 10 gets only 2%. That's a huge difference! Imagine what could happen for your business if you make it to page 1 and even to position 1. Some quick math shows that if you go from position 10 to position 1, you will get more than 15 times the traffic that you had before. Now you know why SEO is so important. Howdy, I'm Mike. Id' love to talk to you about SEO. Call me or schedule a strategy session below. There's only one problem. High quality SEO is hard. In fact, there are so many ranking factors that most people give up on SEO because it can be so challenging. It also takes a while before you get to see results. Typically 6-12 months can go by before you start getting a return on your investment. Check out our local SEO guide to see the kind of work that it takes to rank well. Given the timeline, many businesses choose to go for pay per click ads instead. However, searchers these days are clicking on organic results instead of paid ads at a ratio of 20:1. That means that if you only focus on paid ads, you can only capture a sliver of the real traffic. That's why pay per click should not be your primary strategy, whereas SEO is much better for primary traffic. Also, once you quit paying for pay per click ads, your traffic dies. It just makes more sense to invest in SEO over the long run in order to get a more stable traffic supply. What we do is specialize in local SEO. More specifically, we fall into the high end by offering high quality service where we follow Google's guidelines so that you can rest assured that your site won't be damaged by hacks and cheap tactics that Google hates. Got questions? We have answers. Let's jump on a quick phone call so that you can get the information that you need to move forward. We'll show you what we know and see if SEO is right for your business right now. What do you mean by high quality SEO services? Google has guidelines for webmasters that they encourage all websites to follow in order to be good citizens of the internet community. We are a Dallas SEO company that takes the guidelines seriously so that our clients are building long term successful businesses with their websites. What are the typical things that you do to get better rankings? Keyword research is at the heart of great SEO. It is the precise words that your customers or clients are using to find your products and services. That's why its important to get your keywords right so that your website is aligned with what your market wants. They also can provide great insights into how you can better serve your market. Once you are targeting the right keywords, you want to make sure that your website is aligned properly. Not only is it important that your website looks great to visitors, but it also needs to look great to search engines too. That's what we call on-page optimization. These days, its not enough to just have amazing content on your website about your products and services. You also have to build relationships with other websites in your industry. When you do it right, you earn natural backlinks from those other websites. This helps Google see that it can trust your website as an authority in your area. We can help you with this. Why should I choose you over other services? Our main advantage is that we are local. We want to meet you in person and establish a great relationship. When doing SEO, its so much easier to be able to discuss issues face to face with a real human being, and not over the phone with someone from a different country that doesn't speak English well. Like we said before, our game is high quality. We play by all of Google's rules so that you don't have to worry about your site doing something that can get it in trouble down the road. How do I know you can get results? What gets most people is that SEO is marketing. No one can guarantee results. Why you ask? Because Google has all of the control, and no one can predict what your competitors are going to do next. We can however put together a strategy and implement it to success. You should be wary of people claiming to guarantee SEO results. They are either lying, or they will do risky techniques that are bound to get your website in trouble. A question for you is how did you find this page? You searched for a service you need and clicked on our link that was ranking high in Google. There is the best proof of results that we can offer. We strive to be much better than the rest of the market. While great SEO on average might get a 2.7x return, we always shoot for a 5x return on your money. We also believe in our work and never make you sign multi month agreements. You can stop at any time. For SEO, we have clients that are local and national. As an example, here is a graph of a national high competition keyword that we ranked for a client. It has over 1900 searches per month and now pulls in over 500 new visitors each month for the client. I'm interested, what is the next step? Like what you see? Then let's jump on a quick phone call and explore what the best options are for your business. Our Dallas SEO consultants can answer all of your questions. Simply click on the button below and sign up for a time that works best for you. Talk to you soon.